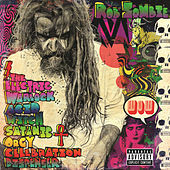 When Rob Zombie's first album, Hellbilly Deluxe sold better in its first week than any White Zombie album had managed to do, Zombie dissolved the group to pursue his solo career full-time. Since then, he has continued to explore his obsessions with horror movie shtick and sci-fi schlock, incorporating these themes into instantly accessible Industrial Metal grinders. 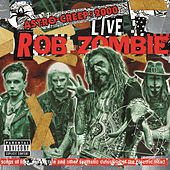 Throwing himself utterly into his undead persona, Zombie has emerged as alternative music's premier purveyor of heavy, disco-metal grooves that break down the barricade between the mosh pit and the dance floor.